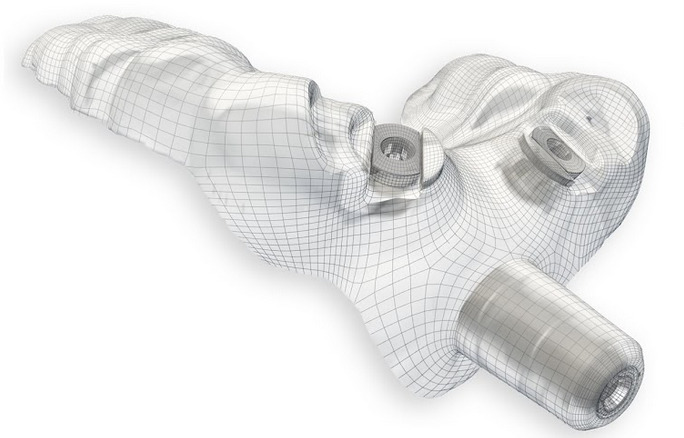 NobelClinician® is considered the premiere implant planning software, analogous to Adobe's Creative Suite. 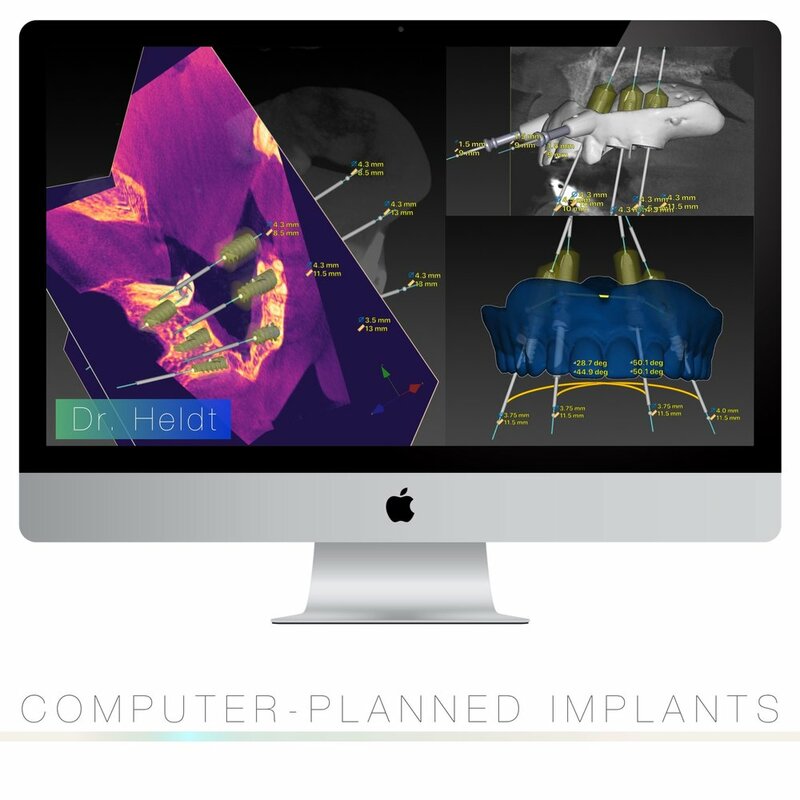 Every implant is planned using this software, a surgical guide is designed and fabricated, then utilized during the procedure to enable optimal implant placement. One of the sharpest CT Scan machines on the market. The Veraview X800 redefines the benchmark for Cone Beam CT technology by offering a wide array of exposure options and high-resolution 3D scans for precise & safe treatments. The video above can explain in more detail. Invisalign's a great alternative to traditional wire braces in minor to moderate cases. Complex cases will require traditional braces. If you've had braces before and lost your retainer with your teeth shifting, then you're probably a candidate for Invisalign®. A consultation is the best way to find out whether Invisalign or traditional braces is the treatment option for you. Implant, Abutment, and Crown illustrated. A crown that is attached by a screw (as shown here) is preferred to gluing the crown on by cement. If residual cement is left, it can cause irratation and long-term infection of the implant. The complication may result in the implant needing to be removed. "Screw-retained" crowns are recommended to prevent this issue if possible. The abutment is the titanium component that connects the porcelain crown to the implant. Another advantage of screw-retained implant crowns is easy replacement later if needed. If the crown needs to be replaced (chips, breaks, or you want a new different porcelain shade), then its easy to replace like switching out a light bulb. NobelProcera® Labs for quality prosthetics. 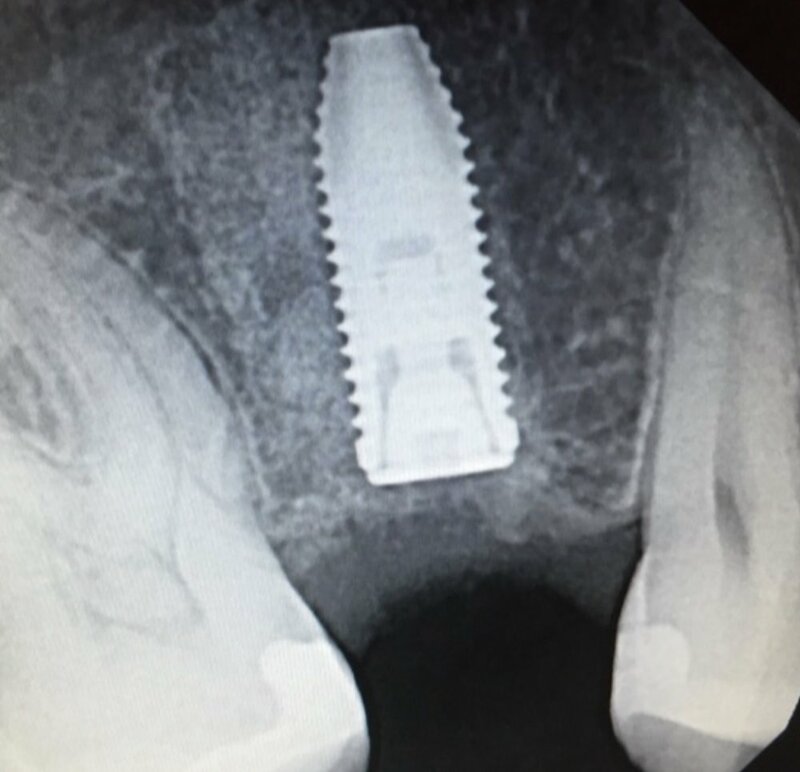 For implants restorations, screw-retention is sought whenever possible. Nobel Biocare® authentic components are always used to avoid screw-stripping the internal connection of your implant crown, bridge, or prosthetic. Your body deserves the best hardware available. If there's one time you want to do things the right way, it's with an implant surgery. Surgical Guides enable an implant to be placed in the precise and optimal position as planned on a computer. These cost several hundred dollars to manufacture but there are many advantages from incorporating them into your treatment plan: minimally invasive procedure, fast procedure (usually 1 hour or less), less post-surgical discomfort, precise placement, less chances of complications, and ultimately it enables the best possible esthetics and final result. There are many types of surgical guides on the market. We utilize NobelGuide® which is considered by many doctors worldwide to be the Mercedes-Benz of dental implants, both in research and in design. This means designing your smile first, digitally placing the crowns in the most esthetic positions, then planning where the implants should go in order to achieve these results. Planning "with the end mind" helps to avoid the implant crowns from looking ugly and feeling unnatural or bulky. Ultimately this process helps to get your tooth replacement to look beautiful, feel natural, and blend in with your other teeth. A surgical drill guide is used during implant procedures to place implants in the precise positions as planned on the computer. The clear drill guide fixates onto existing teeth and will only allow drilling to be made in the computer-planned locations. Most implant surgeons do not use a surgical guide because of the extra time and costs involved. After explaining all the benefits of using a surgical guide, most patients don't have a problem with the additional cost. Implants ideally should be placed centered in between teeth, at a level where the top of the implant threads are in contact with bone. When the implant is placed in the ideal position, the better the esthetic outcome, and the more natural the tooth will feel. A surgical guide helps the surgeon place the implant in the computer-planned position. The majority of implant complications could be avoided simply by using a surgical guide. There's many types of surgical guides on the market: some are esthetic guides, some are 1st drill only guides, and others have a metal-sleeve built into the guide. Although they cost a few hundred dollars, the gold standard is a metal-sleeve surgical guide. This is the closest thing you can get to 100% accuracy and precision since the implant is inserted through the metal-sleeve guide and final depth (critically important) is pre-determined as well.